Granite does not have an acid sensitivity as the calcareous stones like marble, limestone and travertine have. We often still use alkaline cleaning solutions on granite because of the fact that alkaline cleaners emulsify dirt better than acids. If the granite floor has a sanded grout component, we often will clean the floor with an alkaline solution and then follow up with a second step in the cleaning procedure. We will use an acid to clean the grout when it is deemed safe and necessary to get stains in the grout to release. We then use an industry accepted spinner tool which provides pressure coupled with vacuum for extraction. This process also removes dirt from the top of your grout lines. This is the industry recommended method to clean stone and tile floors. 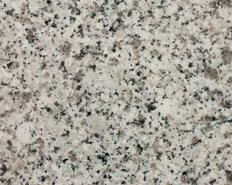 Granite is a very common stone to find in the modern kitchen. This is because it is rugged, hard and durable. It handles heat well and it resists scratches. It takes a good polish and does not etch like marble, limestone and travertine. Mercantile granites are not all petrologic granite, but they all “behave” as granite does. Modern Stone Care always professionally cleans granite countertops prior to sealing the stone. We also sell a tremendous countertop cleaner called “Pure Stone Countertop Cleaner” that leaves your granite countertops looking beautiful and streak free. LPetrological granite is extremely porous. This means that it will absorb liquids easily. This means that any liquid that has color can potentially stain granite countertops. 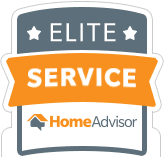 Sealing granite countertops is imperative, but there is a lack of communication in the industry what that actually means. To most people, sealing granite countertops simply means applying a sealer to the stone. 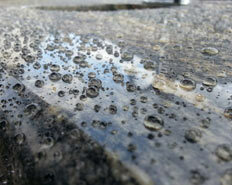 Most granite sealers are water based impregnators, which means that they will resist staining from water based products. However, in kitchens, we regularly use oil and butter. Typical sealers will not protect against oil based staining. So we believe that there is a need for a new definition of “sealing” granite countertops. We believe that sealing a granite countertop means that you protect it from water and oil based staining. 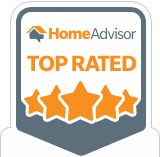 That is why we only use premium oleophobic impregnators to seal granite countertops. 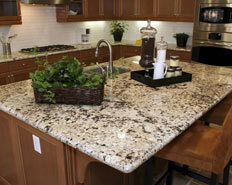 Call with any questions about our granite services or fill out the contact form on this page. Professionals in the commercial stone industry loosely use the word “granite” to describe any stone with visible grains that is harder than marble. This would include stones like basalt, gneiss, gabbro, pegmatite and others. A petrologist (a geologist who specializes in the study of rocks) would describe granite as a plutonic rock which contains 10-50% of the felsic components present in the stone. Additionally, alkali feldspar would make up 65-95% of the total feldspar content. 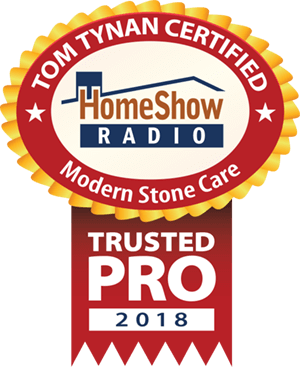 When it comes to how we treat the stone in your home, we clean them and seal them the same. There are differences in the porosity of petrological granite and mercantile granites such as basalt. Granite is far more porous than basalt. However, all of these stones do have a degree of porosity. Therefore, it is advisable to seal the stone in order to prevent staining. Granite floors require a maintenance plan to keep them looking as nice as possible. This should consist of dry dust mopping daily using a clean rayon mop or static pad. Vacuuming with a hard surface vacuum will also work. This is to remove the dirt and debris that accumulates on your floor because of foot traffic, pets etc. It is important to remove this dirt because damp mopping is also required at least weekly. If the dirt and debris that accumulates is allowed to remain on the floor, when damp mopping occurs, that dirt is turned to mud and is pushed into the grout lines by the mop. This will make your grout lines dirty very fast. When damp mopping with soap, rinsing will be required. After mopping with any soap solution, use a different rinse mop, and go over the area again with clean water. While these floors do not need the same care from abrasion and etching as a marble, travertine or limestone floor, they do need to be polished from time to time. It is important to follow the rinsing techniques described above because when a soap film accumulates on granite, it reduces the polished appearance, and can make it look dull. That dullness is removed with proper cleaning. For this reason, we recommend cleaning your granite floors annually.